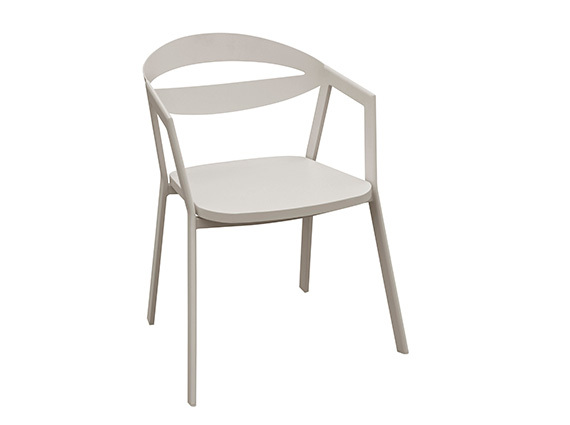 Full aluminum dining chair with an arc-shaped backrest, and the arc angle for the seat part corresponds to the backrest make this chair has high artistic value. More surprising elements will come out soon in the future, let's wait with highly anticipation. 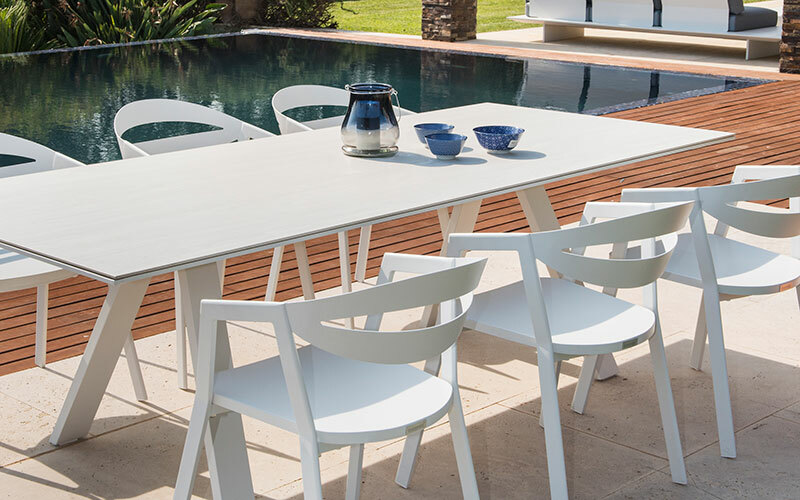 This full Aluminum Back and Seat Stacking Arm Chair is made of high-quality full Aluminum creates an incomparable visual elegance.